Did you know that healthy spinal bones, tissues and nerve flow depend on normal spinal motion and alignment? The scientific term for a deteriorated spine and nervous system condition is called vertebral subluxation complex. A spine that has lost its segmental motion and alignment is not only inflamed but demonstrates ongoing decay of the joints, soft tissues and altered nerve flow. The evidence shows that nerve flow changes due to spinal dysfunction (vertebral subluxation complex) can not only lead to pain, weakness and fatigue, but may also influence brain centres that affect mood, concentration, memory and learning. It can also stimulate stress centres in the brain, affecting hormones, and overall immune and organ function. Sleep can also be affected, as well as your neuromuscular coordination, balance, strength, flexibility and agility. Often, ongoing critical damage in the body is silent, with a complete lack of symptoms. Through the use of specific adjusting techniques, chiropractic effectively corrects subluxation patterns and restores and maintains function, while helping to create comfort, strength and endurance as it relates to spinal mechanics. 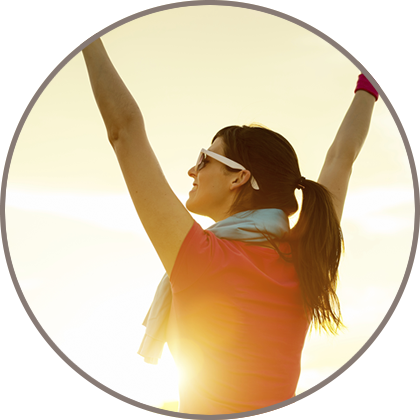 At Forest Chiropractic Wellness Centre, our goal is to help you feel better while paving the way for a healthy future. Most of our clients prefer low force, “non-cracking” techniques that allow Dr. Keith to apply gentle force to specific segments of the spine without having to contort the body. Some clients prefer manual techniques. Regardless of your preference, we always address the cause of the problem and focus on restoring spinal health, function and integrity – with emphasis on client comfort and safety.